Nissan Sylphy has been launched in Malaysia with a single engine option and two variants. The Nissan Sylphy 2.0 CVTC is probably one of the cheapest 2.0 liter C-segment sedans you can buy, but its engine also produces the least power at 133 PS at 5,200rpm and 191Nm of torque at 4,400rpm. But an X-TRONIC CVT transmission that provides a virtually infinite amount of gears between the first and final gear (2.349 to 0.394) should be able to keep it in a useful spot in the powerband. This engine has been tuned for smooth and powerful low to mid end torque delivery rather than high end power because 90% of the 191Nm is available from a low 2,000rpm. 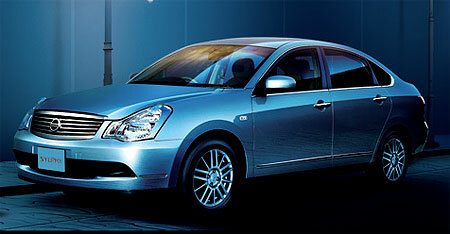 Nissan claims the MR20DE engine in the Sylphy can travel up to 16km on 1 liter of fuel under Japans 10-15 test mode. Heres a little primer to what the 10-15 test mode is. It measures two separate drive cycles called the 10 drive cycle and the 15 drive cycle. The 10 drive cycle is a low-speed drive aimed to emulate an urban drive. 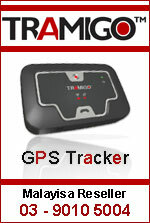 It is carried out on a dyno machine rather than on actual roads. It is a series of acceleration and braking (including coming to a complete stop) with a top speed of 40km/h and an average speed of 17.7km/h, and lasts 135 seconds. The 15 drive cycle is longer at 231 seconds and consists of a series of acceleration and braking (without coming to a complete stop) with a top speed of 70km/h and an average speed of 33.88km/h. The 10-15 test basically runs one 15 test first to warm the engine up, then the car is allowed to idle for a shot period. 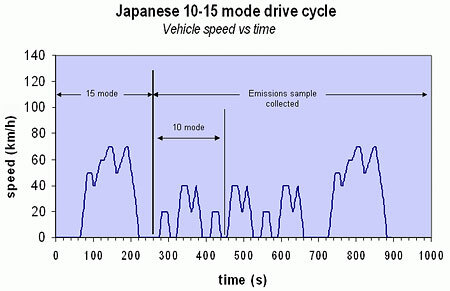 Then the 10 drive cycle is performed 3 times, followed by a single 15 cycle mode. 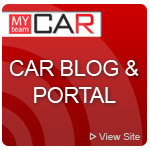 Fuel consumption is then measured via emission samples from the cars exhaust. The complete test displaying vehicle speed versus time is shown above so you can see for yourself what kind of driving pattern the 10-15 test cycle measures. Japan is moving towards the JC08 test instead of the 10-15 test, with the JC08 expected to be fully implemented by 2011. Japan currently uses JC08 test results to count towards only a certain percentage of emissions and fuel consumption measured for regulatory purposes. 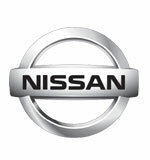 Edaran Tan Chong Motor assembles the Nissan Sylphy locally at its plant in Serendah, and it remains mostly unchanged from the Japanese version because of the limited volume target of only 350 units per month, so it does not make sense to localise the sourcing of parts. 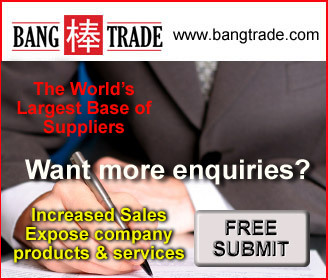 ETCM says it was able to get CKD parts from Japan at much cheaper rates due to the JMEPA (an FTA agreement between Malaysia and Japan). Is this the first Japanese car manufacturer/principal to admit to the existence of JMEPA? Styling-wise, the Nissan Sylphy looks like a downsized version of the larger Nissan Teana, which isnt a bad thing at all as it looks quite elegant and grown up. Its quite interesting to see different offerings in the C-segment range using different approaches to styling to target different personalities. The Nissan Sylphys 2,700mm wheelbase is the equal to the Civics, the longest in the C-segment currently, but Edaran Tan Chong Motor says that according to data on interior space published by its competitors, the Sylphys interior cabin space is the longest. Rear knee room provided is about 680mm. Despite that, it is still able to offer a large 504 liter boot, probably thanks to the space saving design of its rear torsion beam suspension. The interior is mostly beige with a dark upper dashboard area. The steering looks like it was lifted from the Latio, and this becomes even more believable considering how the colour does not exactly match with the rest of the dashboard. Steering wheel audio control is also missing even with the Luxury versions more upmarket audio system. Some other facts worth nothing is that the car uses an electric power steering, has ventilated disc brakes on the front and drums at the rear, and has 15 inch alloys wrapped with Yokohama 195/65R15 tyres. The interior is done up in Masumi fabric, but the Luxury version gets leather, or you can add it to the comfort version for RM2,000. 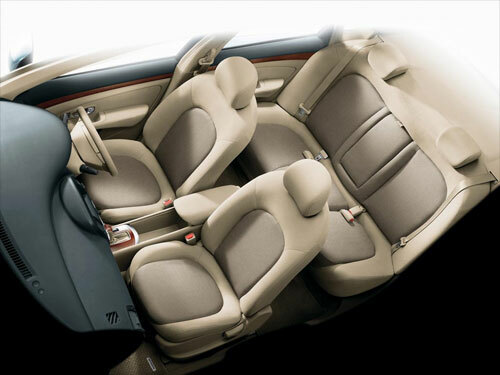 There are three 3-point seatbelts for the rear passenger bench. Other features include auto-headlamps which turn on automatically in the dark, automatic climate control, and a single-CD audio player in the Comfort version. The Luxury versions audio system is a 6-CD system with MP3 support, or you can add this to the Comfort version for RM1,000. 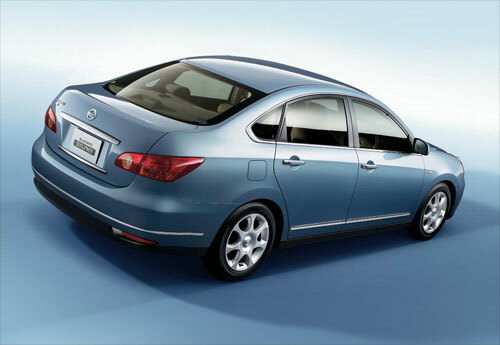 The Nissan Sylphy 2.0 CVTC is priced at RM112,800 for the Comfort version and Nissan 116,800 for the luxury version.